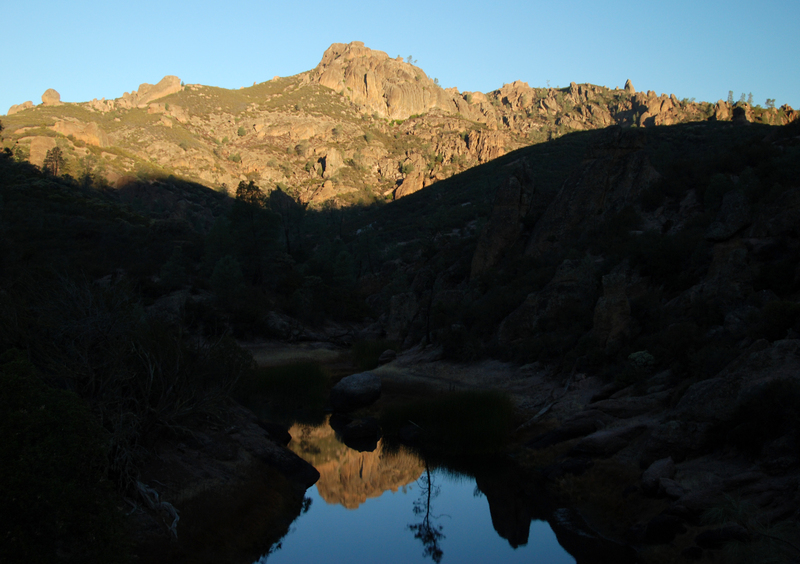 I headed out to Pinnacles National Park for sunrise while we were staying at the Thousand Trails San Benito RV Resort. I’ve been here before and you can check out my first experience to this wonderland by clicking here. 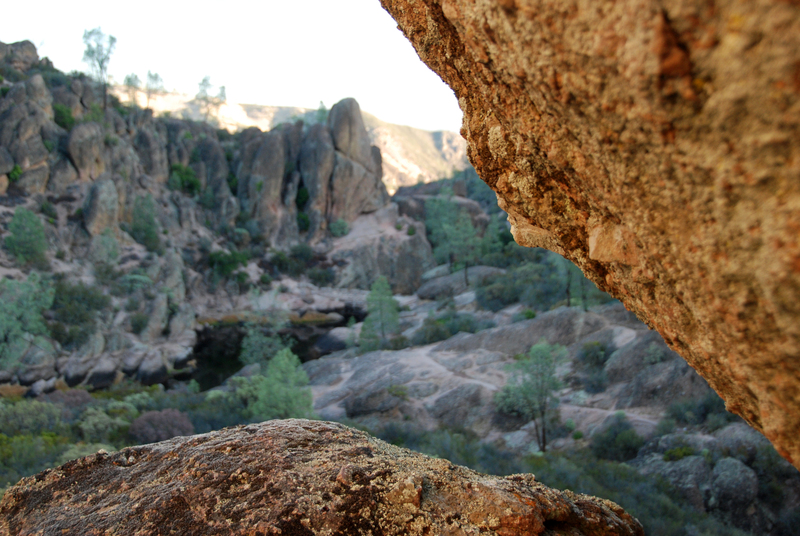 Pinnacles is the most recent addition to the National Park system. All of the National Parks I’ve visited have taken my breathe away and this is no exception. 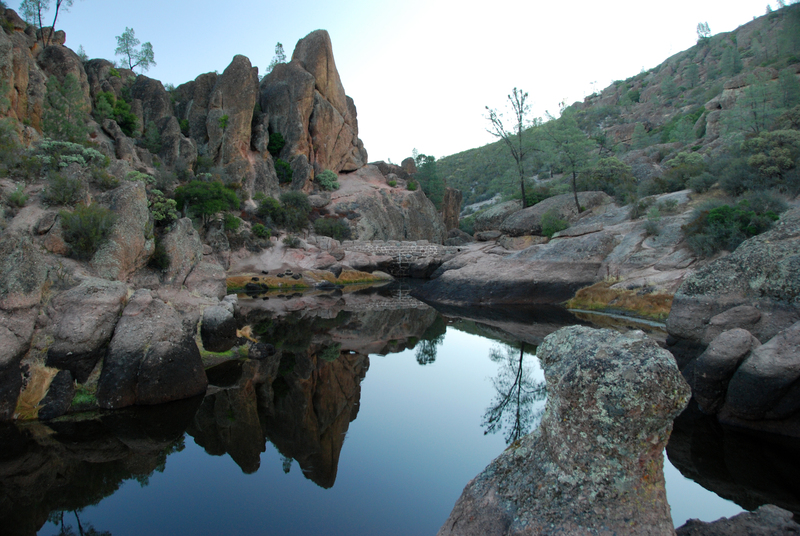 From caving with bats to relaxing at the reservoir, Pinnacles NP is a must visit location. The rocks are so unique here. 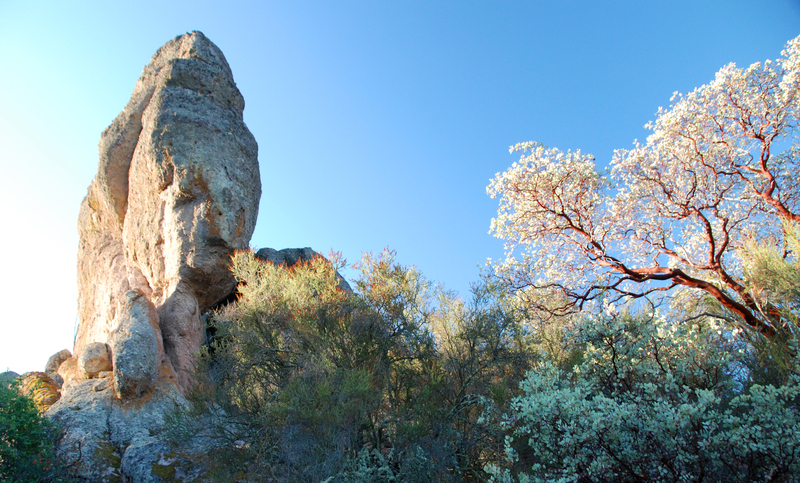 It has a lot of rock climbing routes and even has trails specifically to rock climbing areas. 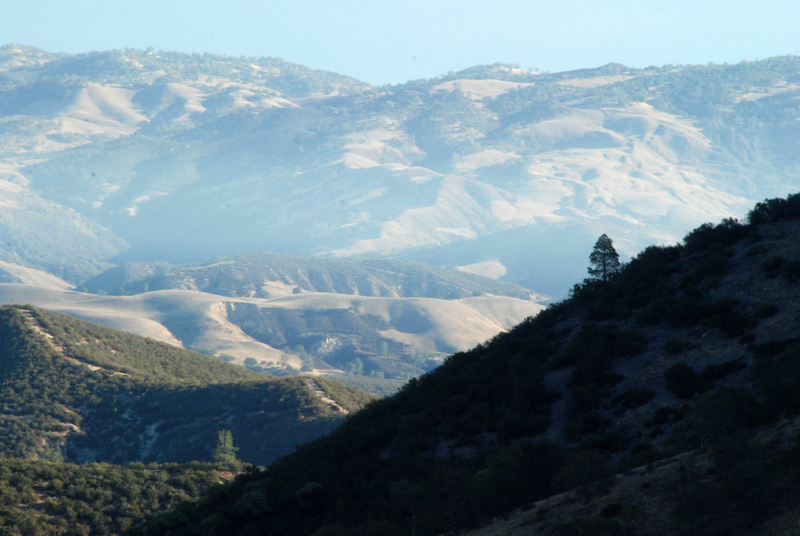 The trails are well maintained and the Bear Gulch Reservoir trail is absolutely fantastic. It’s an easy 1.5 mile round trip hike. 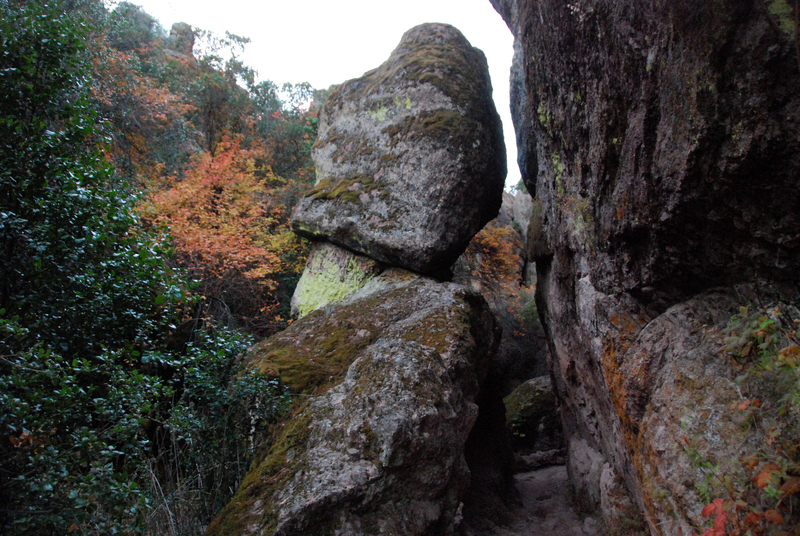 It’s a loop trail so you will go into the reservoir on the lower level through the caves. On the way back you are high above the canyon with incredible vistas. 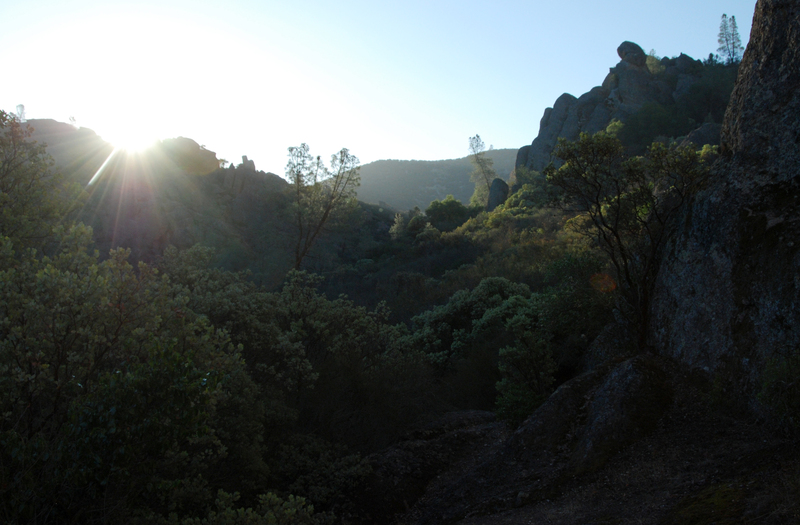 I started my hike before sunrise heading through the lower part initially because I knew the views from above would be stunning when the sun was up. The coolest part are the caves. 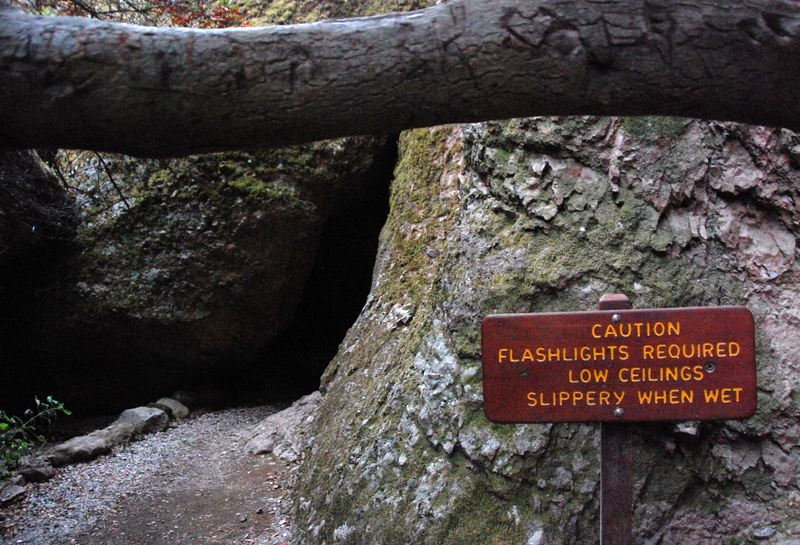 You have to have a flash light (I used my iphone) and expect to be crawling at some point of your cave exploration. 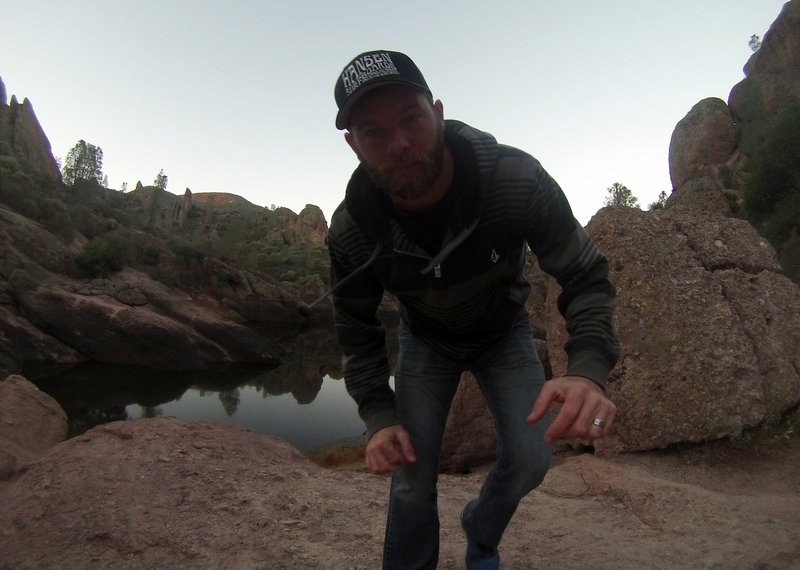 I was really excited because there is a huge bat population in the caves at Pinnacles and on my first visit one of the large easy access caves was closed off due to reproduction efforts of the bats. 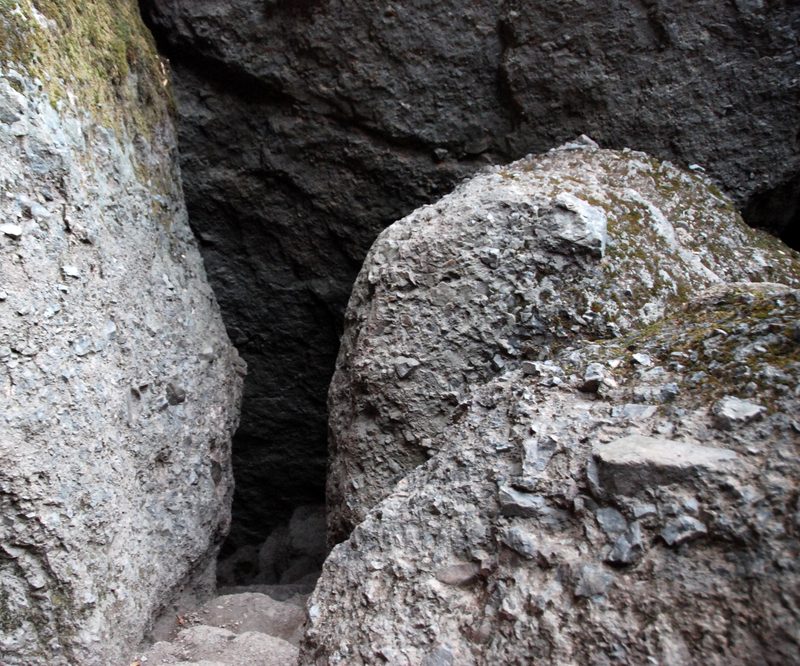 The picture below is one of the cave entrances. I always enjoy popping out of a cave and looking at what I just came out of. The lighting was magical when I got to the reservoir. 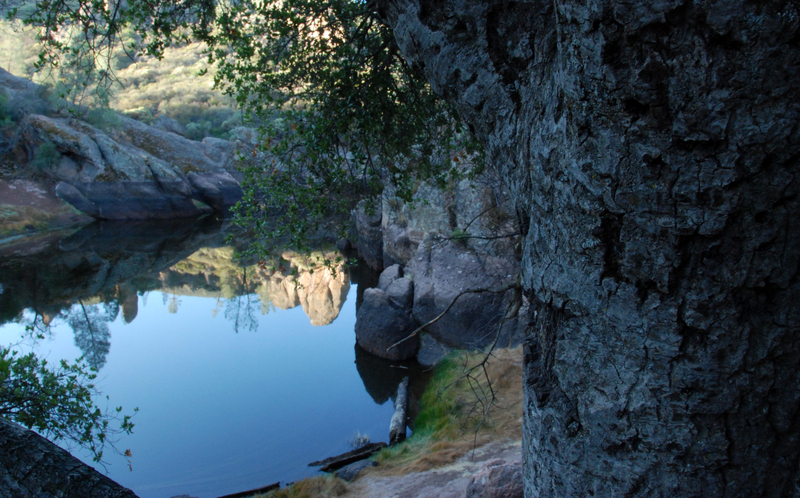 There are a lot of rock climbing routes where climbers can enjoy incredible views overlooking the water. 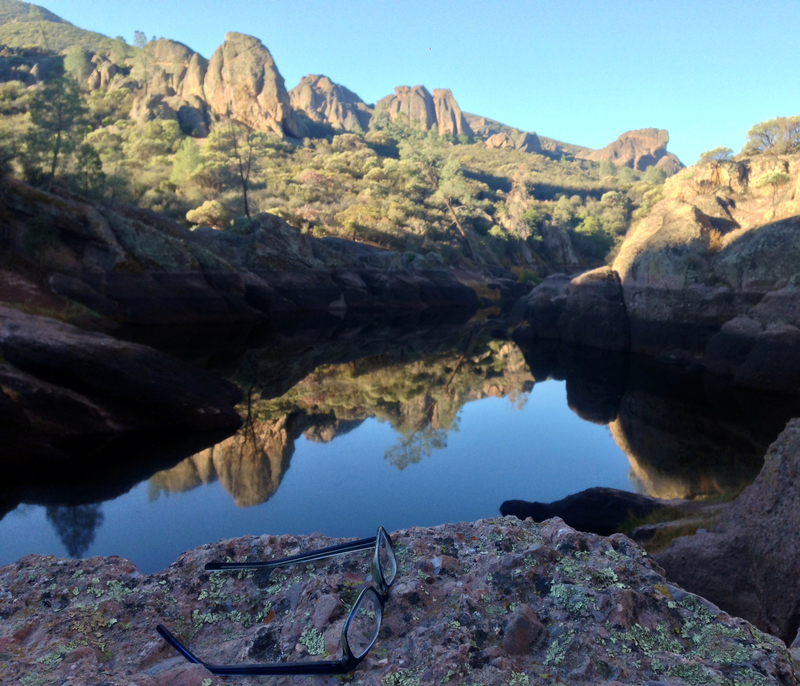 It was really neat to perch out on the edge of a ledge, drink water, eat a meal replacement bar to refuel and watch the light change right in front of my eyes. 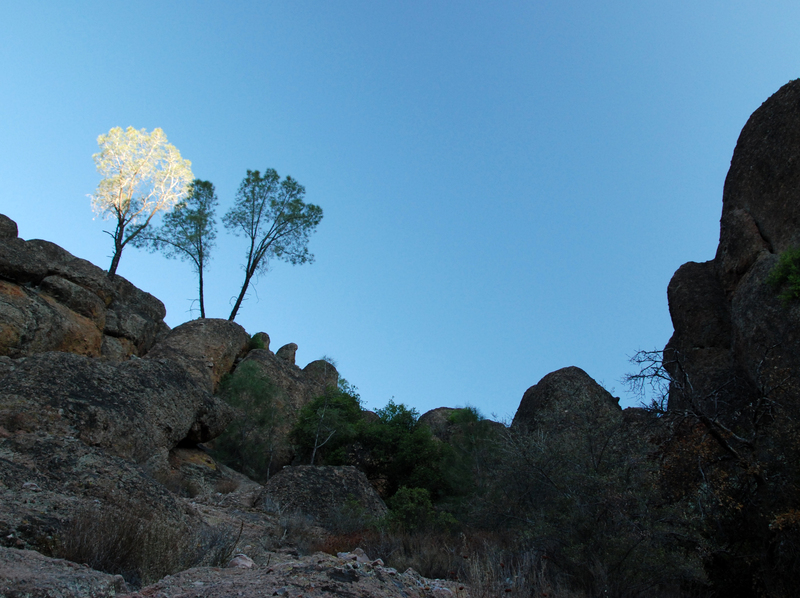 I was blown away a few times at the incredible views and colors at Pinnacles. As often happens with nature’s beauty, the pictures doesn’t do this place justice. 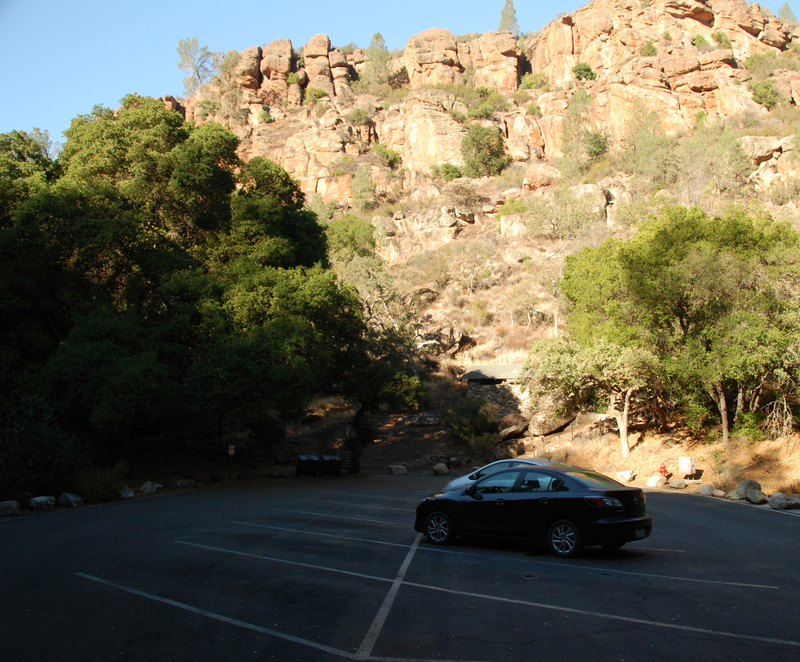 I enjoyed the contrast of light as it came up over the canyon. 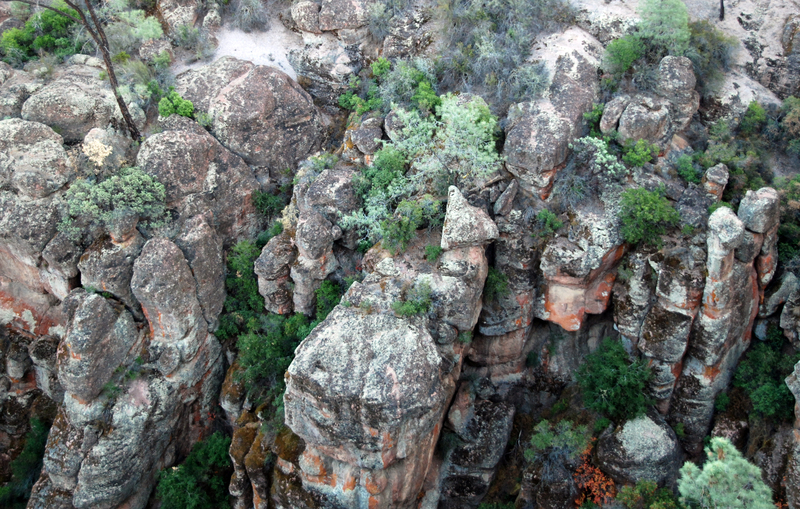 I climbed out on an incredible ledge that looks down into the canyons below. It’s an incredible spot to relax and watch the birds hover around. Views like this give you a great perspective of just how small we are in life. This is the view from below the ledge. The trail I walked in on is at the bottom of the picture in and out of the caves. 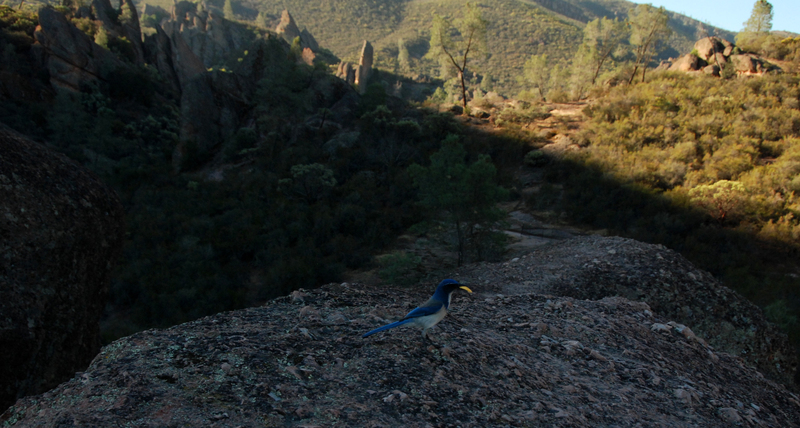 As I was sitting still at the ledge I saw this bird fly in close to me. I figured I was on his spot and my presence made him pass me by. A few minutes later I turned around was surprised to see this guy just chilling behind me. He hung out with me for a few minutes before flying off. I was messing around with the GoPro time lapse. 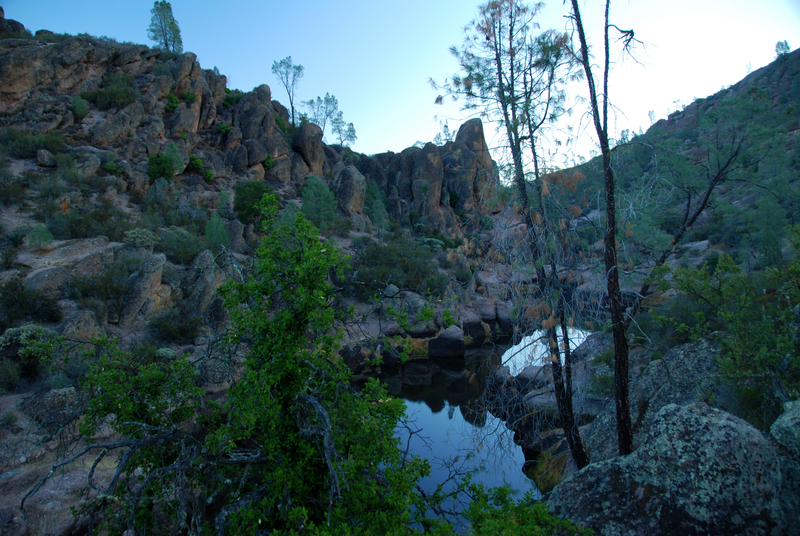 Both times I’ve visited Pinnacles I’ve been the only person on the trails. This time someone pulled up as I was leaving. I loved this hike so much I did it twice that morning. Actually I got back to my car and realized I had left my glasses on a ledge while I was relaxing haha. I had to walk all the way back to get them. Luckily I was the only person on the trail. Wow Eric awesome pictures and such incredible,beauty ! 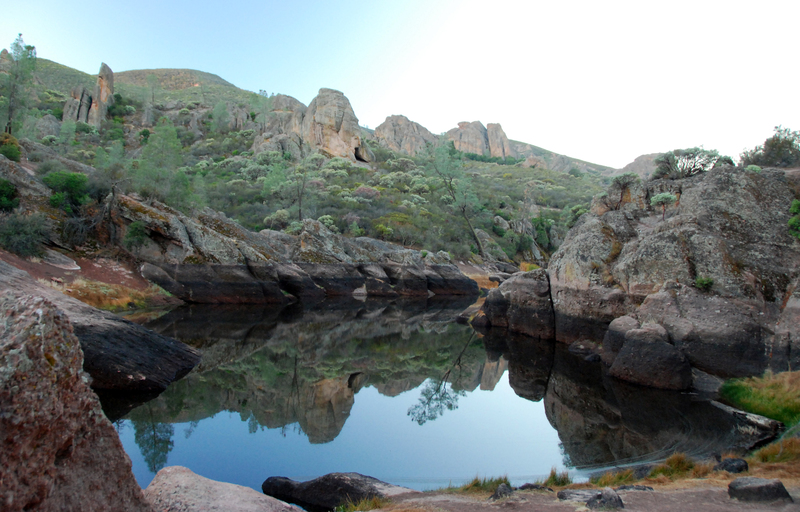 Where is Pinnacles located at ? 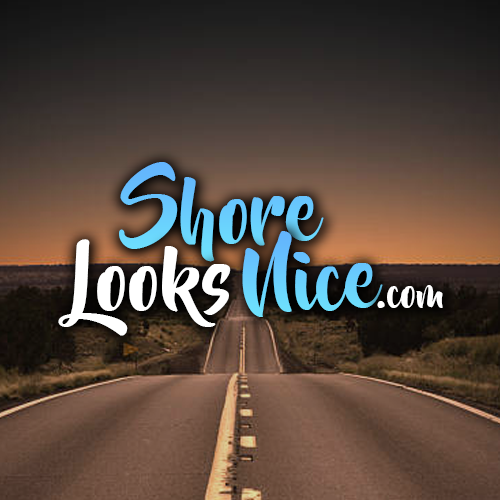 Colorado ?